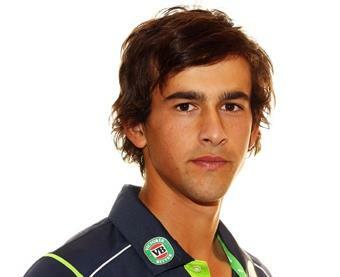 Ashton Agar suspended from Western Australia's next four-day match. LAST year’s Ashes golden boy Ashton Agar has been suspended from Western Australia’s next four-day match for breaching the CA code of behaviour. Agar was found guilty of showing dissent towards an umpire’s decision during WA’S Futures League match against Queensland earlier this week. It was the 20-year-old’s second similar offence within the past 18 months, meaning it was treated as a level two charge. The sanction of two suspension points means he’s out of WA’s next Sheffield Shield match starting on February 12 against Tasmania. However, the left-arm spinner was dropped after the next Test and hasn’t been sighted during the international summer. Agar admitted to the dissent charge and therefore a hearing wasn’t required.